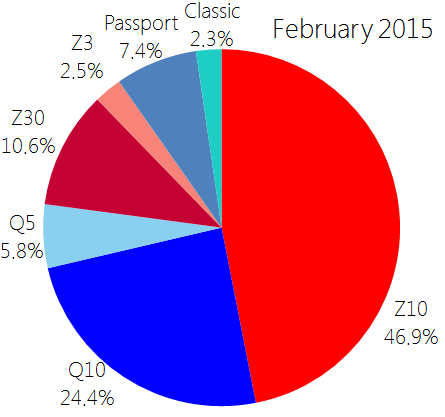 Two years after the release of BlackBerry 10 the original Z10 and Q10 remain the most popular phones. Meanwhile the Passport is approximately three times as popular as the Classic so far. Overall 39.9% of BlackBerry 10 users have a phone with a physical keyboard.